Which style of music do you love? Whatever it is, there is a high chance that it appears on this stunning text decal, depicting every different style of music existing today! 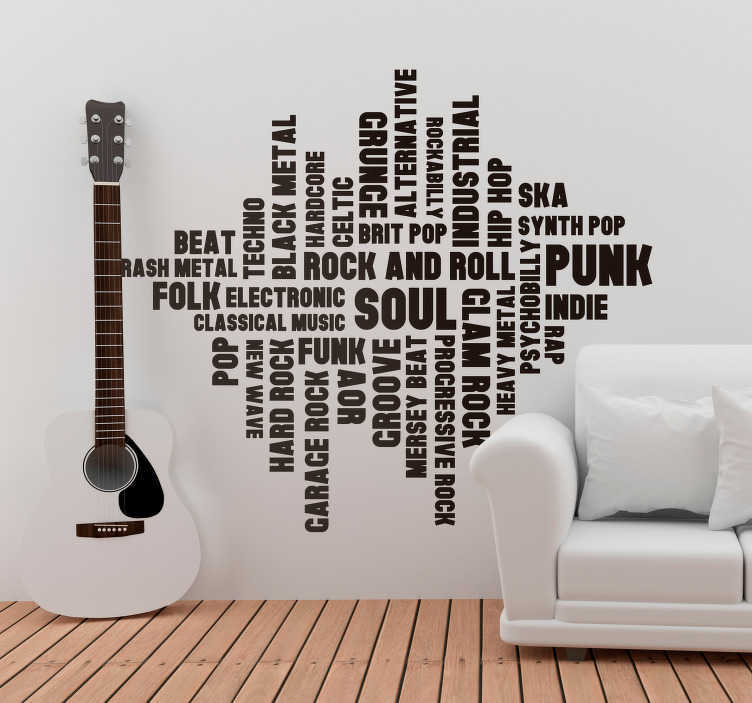 So, whether you are a metalhead, a rap disciple or even a Ska fan - This musical wall decal has everything you are looking for and more! Genres can be added or removed on request, so even if your style is not present, we can make it present! Available in a variety of colours and sizes.